I know many of you have been waiting and it’s finally here. 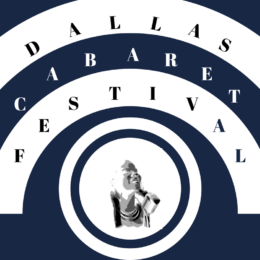 Time to buy your tickets for the Dallas Cabaret Festival!! We’re so excited about this year’s line up. New and familiar faces, national talent, Broadway stars….it’s all here. But the most important thing – THE MUSIC!! There will be dinner available for purchase by our friends at Our Door to Yours Catering. If you’ve come to ANY of our Cabarets at the Bath House you know the food is incredible!! Now remember, it IS July in Texas, so come comfortable, casual and cool!!! Thursday, July 5th – ‘Not Your Mama’s Broadway’ – featuring Angie McWhirter, Jodi Wright, Denise Lee and Walter Lee. Singing some of your favorite show tunes their way! Music direction by Norman Williams. And our special guest will be Tony Nominee and Drama Desk award Winner Ms. Saycon Sengbloh. Saturday, July 7th – MAC, Bistro and Julie Wilson Award winning Cabaret & Broadway performer, Mr. T. Oliver Reid, will close out this year’s festival with his one-man show, Drop Me Off in Harlem. Mr. Reid has twelve Broadway shows to his credits including The 2018 Tony award winning Once On This Island, The shows New York engagements have included Lincoln Center’s Dizzy Club Coca-Cola, Birdland, Feinstein’s/54 Below and the Metropolitan Room. And now he’s sharing it with Dallas. He has directed and produced cabaret in NYC and the surrounding areas. He will be joined by Julius Rodriguez on piano. This is the first year that we have sold tickets to the Festival but it is necessary to help offset the cost. I can guarantee you won’t find a better deal in town. Ticket prices are $15 per show OR the BEST DEAL, Dallas Cabaret Festival Pass for $30 which includes all 3 shows. Seating is general admission. Doors open at 7:00 and shows start at 7:30 each night. Children’s Health & The Stew Pot – Click on the name to take you to the website for more information about who they are and what they do. This year we also want to support a new arts organization, Metropolitan Arts Media, Inc., a new non-profit company that runs the popular performing arts online magazine TheaterJones.com, which covers theater, dance, classical music, opera and comedy across North Texas; and plans to launch a separate site covering visual arts. MAM’s mission is to canvas the Dallas-Fort Worth arts scenes, using a stable of qualified and knowledgeable journalists and critics, keeping alive the needed arts journalism that has disappeared from mainstream media. 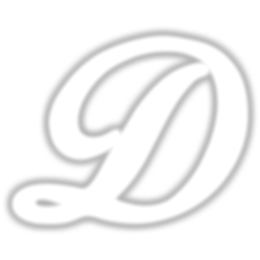 Website coming soon. You can also follow Theater Jones for more info.